Notes: Paired with a re-release of the 1977 film The Rescuers, Mickey’s Christmas Carol is significant in the annals of Disney animation for several reasons. It was the first theatrical short starring Mickey Mouse in 30 years; it was the final time Donald Duck’s original voice actor, Clarence Nash, would voice the character; and it was the first time Alan Young would voice Donald’s Uncle Scrooge, a role he has continued with through the classic DuckTales TV show and every other depiction of the character right through the present day. Despite its short length, the film is remarkably faithful to the Dickens novel, keeping most of the important scenes and characters, although racing through them in the 26-minute running time. 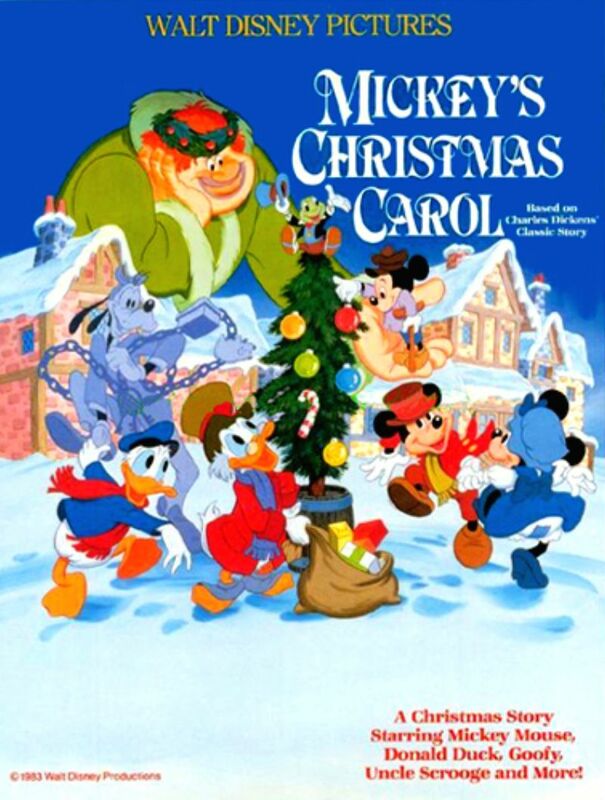 The Disney characters who take part in this adaptation include Scrooge McDuck (Young) as Ebenezer Scrooge, Mickey Mouse (Wayne Allwine) as Bob Cratchit, Donald Duck (Nash) as Scrooge’s nephew Fred, Goofy (Hal Smith) as Jacob Marley, Jiminy Cricket (Eddie Carroll) as the Ghost of Christmas Past, Willie the Giant (Will Ryan) as the Ghost of Christmas Present, and Black Pete (Ryan again) as one of the few versions of Christmas Yet to Come to actually have lines. Other minor characters and background extras come from various Disney shorts and films starring animals, particularly The Wind in the Willows and Robin Hood, which you may remember I talked about here once before. Thoughts: This is the shortest version of A Christmas Carol I’ve talked about yet, and is probably the shortest I’ll discuss all month, but it’s also one of my favorites. Part of that can no doubt be chalked up to nostalgia – I was six years old when this cartoon was released, and I think I saw it in the theater, but I honestly can’t say for sure. Regardless, I am sure this was the first version of the story I remember in any detail, and as such it holds a special place in my heart. That said, it’s worth talking about even without the nostalgia factor because – again, despite its short running time – it’s really good. First of all: Alan Young. I’m not sure how many people are aware that Uncle Scrooge has the voice of Wilbur from TV’s Mr. Ed, and I’m not sure how many would care if they did, because his work with this character is by far a more enduring legacy. Scrooge McDuck is a character who has to be firm and grumpy, but with a good heart at the core. In truth, from the outset he was a (slightly) milder version of the Dickens character Carl Barks named him after. Young’s voice performance is flawless. The “casting” all around is good. Mickey Mouse – so long portrayed as a sweet, well-meaning everyman is the natural choice for Bob Cratchit. Jiminy Cricket is Pinocchio’s conscience, and as such is the logical choice for Christmas Past. Willie and Pete, both nominal “villains” in their usual Disney performances, fit their roles well, with the man-child Willie making an even larger version of Christmas Present than we usually see and Pete taking real delight in his nasty work. The only one that doesn’t really seem to fit is Goofy as Jacob Marley – a character full of regret. Even if Goofy had anything to regret (he doesn’t – the character is far too innocent for that), he’s not self-aware enough to realize it. I imagine he was given the part simply because they felt the need to get all of Disney’s top three characters into the cartoon somewhere and they just couldn’t think of anything other way to include him. 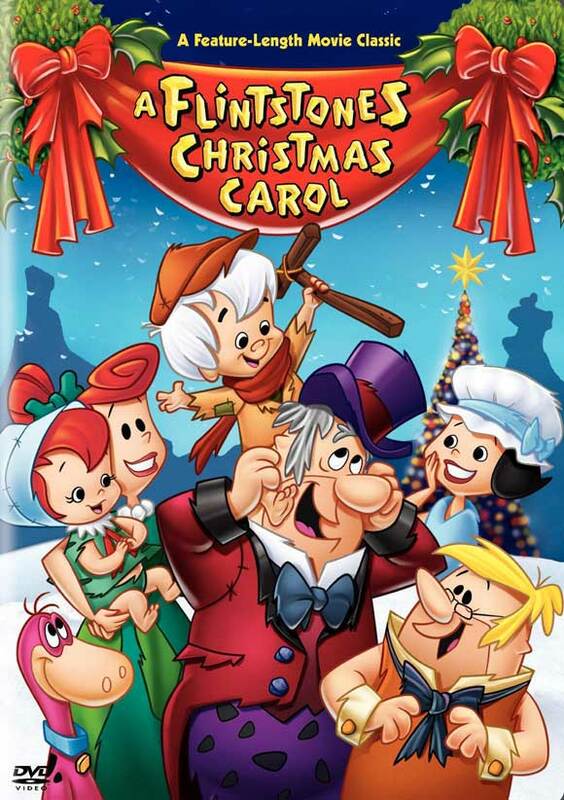 The only major character omitted from this version of the story is Scrooge’s sister, Fan. Considering it was billed as a Mickey Mouse cartoon, that’s understandable – kids may be able to accept ghosts and hellfire and redemption, but I doubt any parent wanted to have a discussion with their children about the potential of a mother dying in childbirth. Besides, there’s a long precedent in Disney cartoons of obvious orphans whose parents are never referenced (Donald and Mickey’s nephews and Donald himself being the prime examples). Scrooge’s reformation is a bit more subtle in this film, although we do see the stages. After Christmas Past shows Scrooge the scene where he breaks the heart of Isabelle (Donald’s girlfriend Daisy, which must have been kind of awkward on the set), Scrooge berates himself for being foolish. A few seconds later, though, as Christmas Present preaches generosity, Scrooge stubbornly argues that he has no reason to be generous to others, as no one has ever shown such kindness to him. In response, we go to the Cratchit house, where Tiny Tim himself encourages his family to thank Mr. Scrooge. That’s all we get from Christmas Present, though, as he’s left standing between a pair of giant footprints before a cloud of cigar smoke whisks him to the cemetery. He’s scared now, and you can feel it, but instead of asking about himself, he inquires as to Tim’s welfare. It’s a good moment, and it’s heartbreaking a moment later when we see Mickey Mouse, in tears, laying a crutch on a tombstone. If that isn’t enough to give kids watching permanent scarring, Christmas Future whips off his hood, lights a match on Scrooge’s tombstone, and kicks him into the open grave, where fire being blazing from the coffin and reaches for Scrooge just before he’s whisked home for the joyful finale. It is still a Disney cartoon, and as such has to work in some comedy amidst the dark subject matter. The balance is good, and never at the expense of character, whether we’re looking at a verbal gag, a bit of ironic wording, or a quick sight gag. The moment where Scrooge tells Fred he’s coming to Christmas dinner after all, Fred and the horse look each other in the eye and Nash gives the line reading of his career: a simple “Well I’ll be doggone” that never fails to get a laugh out of me. I do so love this cartoon, and not just because I got to watch it and write the whole article in less than a half-hour. It’s a wonderful rendition of Dickens’s story, even in its condensed form, and it just came out on a 30th anniversary edition Blu-Ray and DVD, along with several other classic Disney Christmas shorts, and one brand new one. If you don’t already own it, get it here.